ENABLE is a new Science Foundation Ireland research programme which aims to connect communities with smart urban environments through the Internet of Things (IoT). In collaboration with industry partners and via citizen engagement, it will address the challenges that currently limit the potential benefits of IoT for communities. ENABLE is a collaboration of three world leading Science Foundation Ireland research centres: CONNECT (Leader), Insight and Lero. 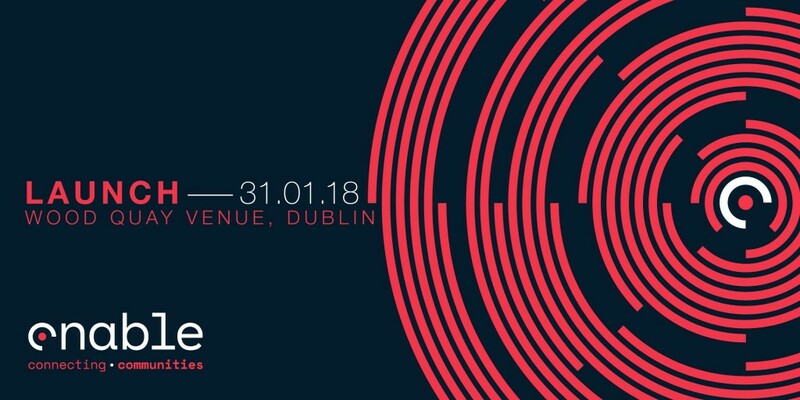 ENABLE will launch on Wednesday, 31 January 2018, at the Wood Quay Venue in Dublin. Register now! The research focus will include enabling smarter buildings, more efficient transportation/mobility, better handling of environmental issues, better decision support, stronger data privacy, and enhanced cyber and infrastructure security. ENABLE researchers work in: Trinity College Dublin, Cork Institute of Technology, Dublin City University, National University of Ireland Galway, University College Cork, and University of Limerick.